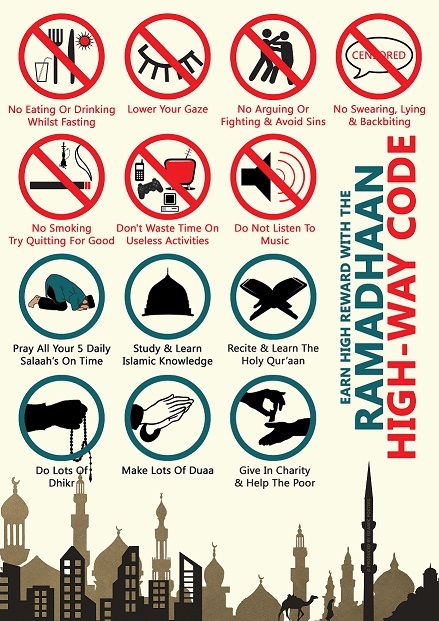 While some Ramadan rules are detailed in the Hadith (accounts of the prophet Muhammad's life, the main gist can be found in the Qur’an. “The fast is performed to learn discipline, self-restraint and generosity, while obeying God’s commandments,” according to CAIR. Like Catholics who fast for Lent, Muslims fast to get closer to God. Unlike Jewish fasting for Yom Kippur, Ramadan isn’t so much about atonement. Fasting is one of the five pillars of Islam, after (1) monotheism (2) daily prayer (3) charity and before (5) pilgrimage to Mecca. In many Muslim families, Ramadan is a time of togetherness, like the shared worship of a Christmas mass or the shared cooking and facetime of Thanksgiving. Some non-muslims participate in fasting, especially if they live in a muslim country or have lots of Muslim friends. In Western countries where food and drink are flowing through the day during Ramadan throughout the day right under their hungry and thirsty mouths, non-muslims can support their muslim friends by not eating or drinking in front of them. Non-muslims are also often invited to Ramadan feasts. Ramadan isn’t all about abstinence. Post-sunset dinners during Ramadan can be decadent feasts. Called “iftar,” the fast-breaking meal is open to non-muslims. CAIR has urges local Muslim leaders to hold interfaith iftars and have put out a guide on how to do so. 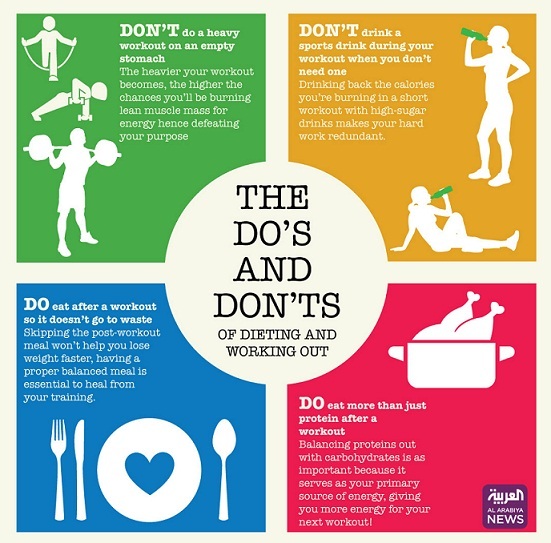 Ramadan is the ninth month of the Islamic lunar calendar and is one of the most important months for Muslims, so here's your handy guide to what you should - and shouldn't be - doing during the Holy Month. It is customary to use the greeting “Ramadan Kareem” when meeting Muslims, and at the end of Ramadan, for the three day Eid celebrations, “Eid Mubarak”. You may feel uncomfortable to say the foreign words now but during the month of Ramadan the greetings are everywhere and using them is appreciated. An important element of the Holy Month is to be generous to those less fortunate by donating food, clothes or money to individuals and charitable organisations. Muslims are expected to give Zakat which is approximately 2.5% of their annual savings to the less fortunate. However the spirit of giving is all around with many charities such as Adopt-A-Camp allowing everyone to get involved in some way. If you would like to acknowledge your Muslim maid or gardener, a token gift will be appropriate and much appreciated. Fasting can play havoc with a person’s eating and sleeping habits, so be sympathetic to people around you. If you feel yourself getting irate or angry just take a deep breath and smile. Remember that it is difficult to function on no food and water. 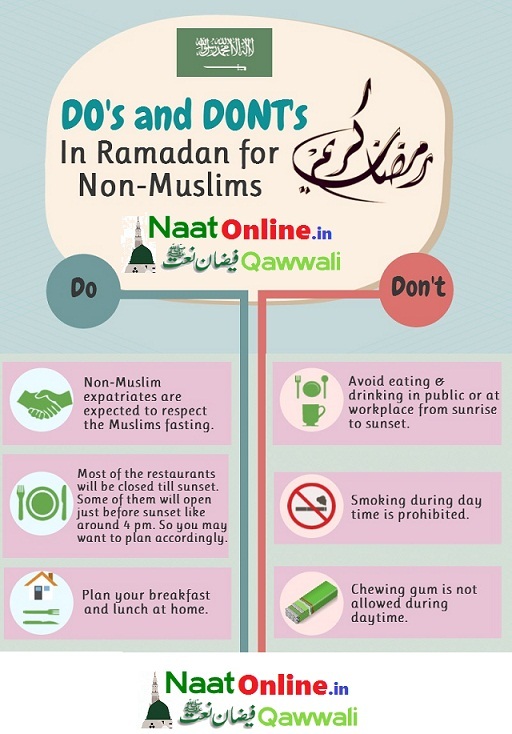 As with eating and drinking, smoking is not allowed in public during the Holy Month of Ramadan. It’s the perfect time to quit; go on…. you know you want to! This is probably the best time to quit as smoking areas are few and far between and you will already be forced to cut down due to lack of smoking space.